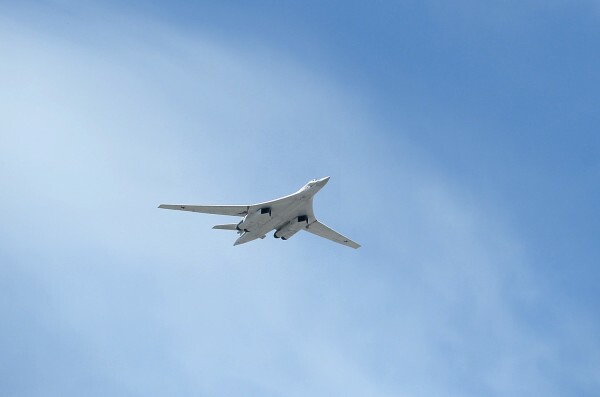 Long-range bombers took off from an air base in Russia and wiped out Islamic State command and control bases in Syria’s eastern Deir e-Zor province, the Defense Ministry in Moscow said on Tuesday. The Russian air force carries out sorties against Islamic State targets on a nearly daily basis since September 2015, but long-range bombing operations are not as frequent. “On January 30, six Tu-22M3 long-range bombers of the Russian Aerospace Forces took off from an airfield located in the territory of the Russian Federation, flew over territories of Iraq and Iran, and carried out an airstrike on ISIS terrorists’ targets in the Deir e-Zor province of the Syrian Arab Republic,” the Defense Ministry said. The operation, which included Sukhoi-30SM and Sukhoi-35S fighters flying protection, destroyed munitions sites and killed a number of Islamic State fighters, in addition to the two command centers, the ministry statement said. Deir e-Zor has strategic importance because it is a crossway in and out of northern Iraq and was used by the Islamic State two years ago as it cemented its forces there and in Syria. The Iraqi army and its militia allies are currently trying to recapture the western bank of the city of Mosul. Russian fighter bombers have also been engaged, jointly with the Turkish air force and using US intelligence data, to destroy ISIL forces in Al Bab, a town still occupied by the Islamic State in the Aleppo governorate, just 20km from the Turkish border. It has been the focus of Operation Euphrates Shield for Ankara’s forces and Ankara-backed militia to root out Islamic State as well as Kurdish armed groups there. The I in BRICS should have been either INDONESIA or IRAN. India is slowly becoming a vassal of usa and uk(colonial master blood).The MSM of usa has started connecting with indian people to appease the public. The indians are with the blood thirsty west. Why it is in BRICS is funny. Why do russians have hope on the indians? ?